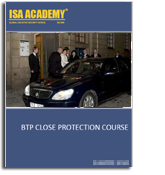 BTP Close Protection Training Course - S.E.A. Copyright � ISA Academy� 2009. All rights reserved.